Scientific discovery, scholarly inquiry, and creative achievement are central to the mission of Southern Illinois University Carbondale. We are one of a handful of major research universities in Illinois and the only one in the southern half of the state. We are classified by the Carnegie Foundation for the Advancement of Teaching as a Research University: High Research Activity, the second-highest tier. SIUC is among the top 4 percent of U.S. higher education institutions for research. SIUC faculty are at work every day - in the lab and in the library, in the field and online, in the classroom and in the studio - to expand knowledge and contribute to society. By working alongside faculty and staff researchers, our students learn the latest methods and information in their field and experience the excitement of discovery. That includes undergraduates, who participate in research as undergraduate assistants, as student workers, and through various undergraduate research programs (REACH, the McNair Scholars Program, and the new Saluki Research Rookies Program). Grant funding in FY 2010 was $79.94 million, a University record. More than half of that total supported research projects. Just over 12 percent supported training projects, and the remainder supported public service and other endeavors. Federal grant funding totaled $45.2 million, including flowthrough dollars (federal funds subcontracted through state or local agencies, industry, or nonprofit organizations). Grant funding from the state of Illinois totaled $19 million. Academic areas receiving the most grant funding at SIUC are medicine, education, science, engineering, agriculture, and liberal arts. Top funders of research grants to SIUC in FY 2010 were the National Institutes of Health (NIH), the Illinois Dept. of Commerce and Economic Opportunity (IDCEO), the National Science Foundation (NSF), the U.S. Dept. of Defense, the U.S. Dept. of the Energy, and the U.S. Dept. of Agriculture. Top funders of all types of grants - research, training, public service/other - were NIH, NSF, the U.S. Dept. of Health and Human Services (non-NIH components), the Illinois Dept. of Children and Family Services, IDCEO, the U.S. Dept. of Education, and the Illinois State Board of Education. Technology transfer is a growing enterprise at the University. Since 2000, SIU Carbondale and School of Medicine have disclosed 260 inventions, issued 64 licenses/options, filed 136 patent applications with a resulting 49 issued patents, and received $4.6 million in royalties. Southern Illinois University Carbondale fosters technology-based innovation and business development through the efforts of the Technology Transfer Program and the Southern Illinois Research Park. In the past year alone, this partnership assisted in the creation of three new SIU research-based businesses securing several million dollars in funding. 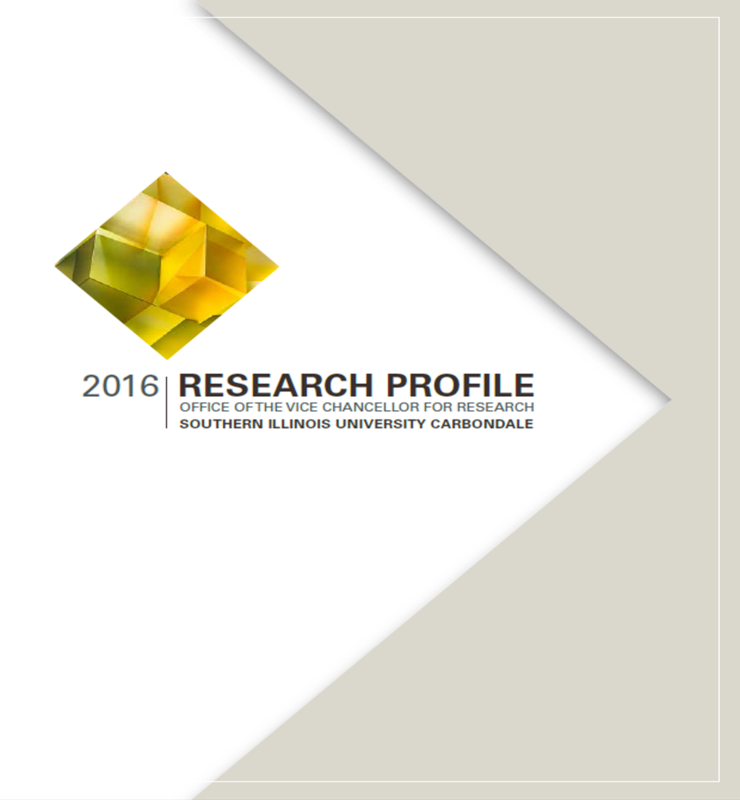 A print publication called the SIUC Research Profile is issued annually. This publication contains much of the summary information from this web page and associated linked documents. View more Reports and Presentations.